Many think crypto assets like Bitcoin are the new gold. However they are so much more. Blockchains and digital assets will revolutionize a myriad of industries, including financial services, health care, government, technology, energy, real estate, and more. 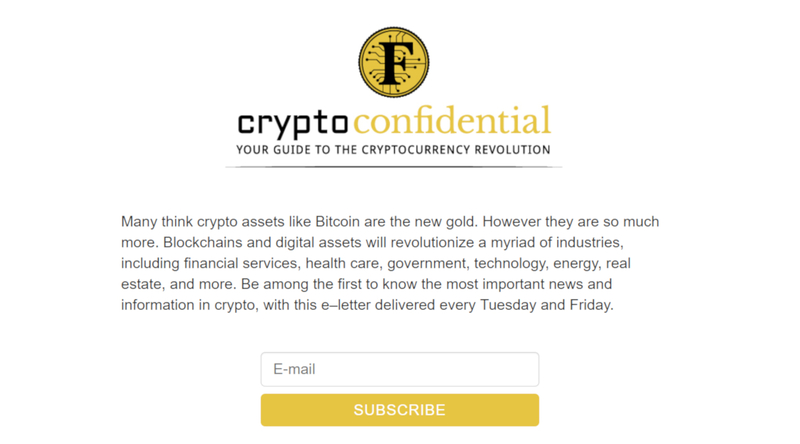 Be among the first to know the most important news and information in crypto, with this e–letter delivered every Tuesday and Friday.